Stitchers Anon: Virtual Stitching Retreat and another Finish! Virtual Stitching Retreat and another Finish! Ok: what have I been up to. 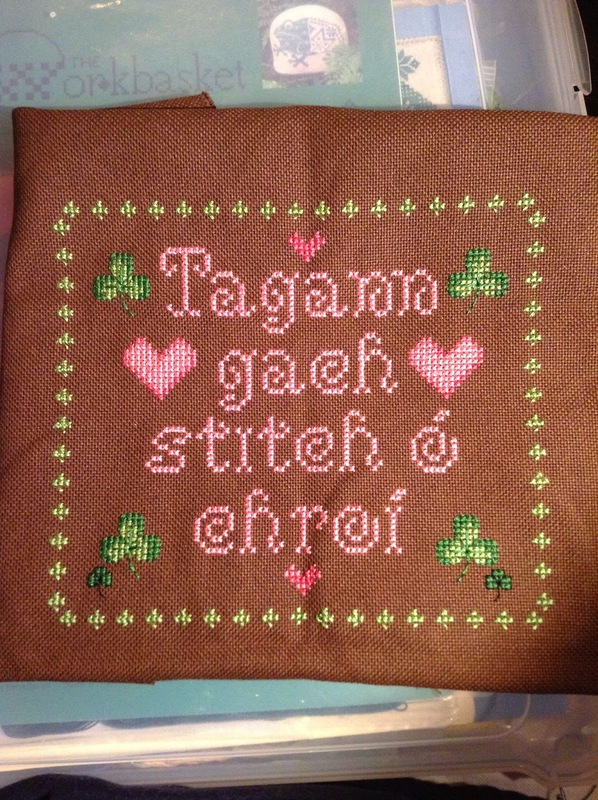 Well, sadly not a lot of stitching. I've been online for what feels like forever but it means all the hard graft has been done and I can have some fun over the bank holiday when my beautiful daughter comes and visits. It's only a short visit but it's better than no visit at all! Ive sorted out the Mystery Halloween Stitchalong. I've a special group place on fb which I think anyone taking part in it can access, even if they don't have a fb account. If not, I'll open one up on the website. As part of the fun I'm giving freebie Halloween ornie charts and there will be a competition or two so one way or another I will have a fun Halloween! Details are on the side bar: just click the link for a greater explanation. I've also been able to link my etsy page to my website so people can get instant downloads through the website. I'm very, very proud of myself! Watch out Bill Gates....I'm on your tail!!! What else...oh yes. Elaine and I have solved our issues with the camera and lack of light. Phew...and it was thanks to a wonderfully helpful designer called Kimberly (Gecko Rouge). I can't believe how lovely all the designers on the Cross Stitch Showcase fb group are. So, to show off our new skills with the camera, please welcome one of my favourite maids so far: June! Not as good as the real thing but we are getting there! It was so nice to go from photo to cover sheet in five minutes instead of five frustrating days! And before I leave you on this wonderful bank holiday weekend (and yes, that means it is raining lol), I had a lovely email from Kathleen. She has finished her virtual stitching retreat and has emailed me her progress. It is amazing and I'm so pleased she did all the challenges! Okay now for the other tasks / questions. 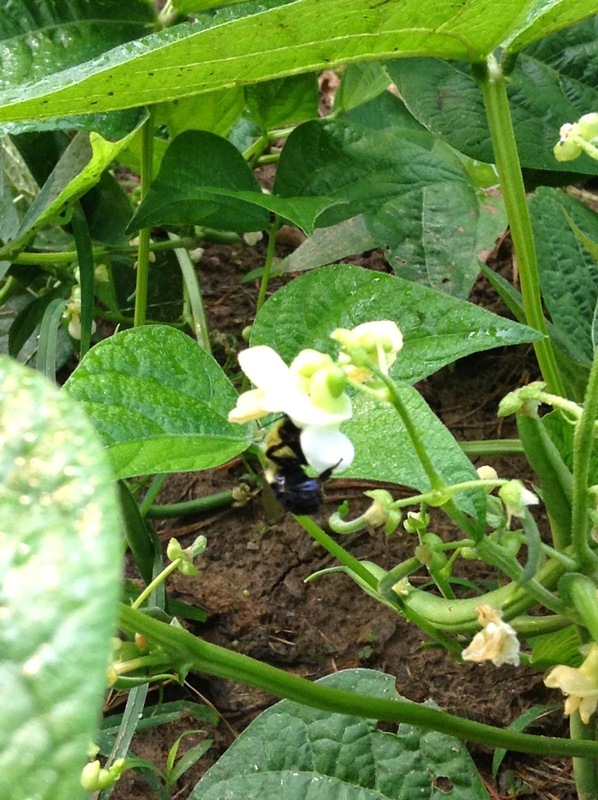 For the beauty of Nature I chose a bee pollinating one of my green bean plants with baby beans visible. I love the interactions with Nature when growing a garden. As for using any of my crafts for other purposes, the only thing I can really come up with is that I use the selvedges from my fabrics to tie up my tomato plants, when I can. Sorry I don't have a picture of my favorite Summer-time recipe. Actually it isn't so much a recipe as a suggestion. Our summers can get quite warm and I hate cooking when its hot. Last year I discovered bags of prepared broccoli slaw mix at the store, which is the base for my "recipe". I cut up the slaw mix until its pretty fine and then combine it with shredded fake crab meat. Add some mayo and whatever seasonings you want and you have a cool refreshing "salad" that can be eaten as a sandwich filling or just as is. I often add some pickle juice for a touch of tanginess. And finally a picture of my own bit of Ireland. 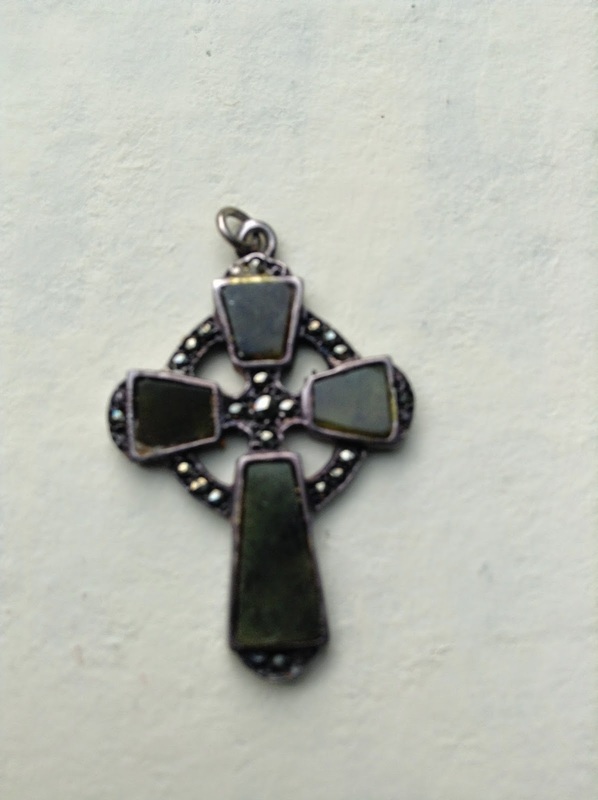 I have had this Celtic cross pendant for 30 years or more. It is made from Connemara marble. I have truly enjoyed taking part in this SAL and virtual retreat. Thanks for hosting it. Awwwwwwwwwww What can I say? Isn't is amazing how we crafters and stitchers stick together and bring some positivity to the world? Thank you for following through Kathleen's. I love bees and thankfully this year the weather seems to have been very kind to them, and you have reminded me I need to pick my beans! Oh no!!! I completely forgot about the challenge. That's because you came back, announced next year's retreat and I got all excited! Or because I'm ditzy, take your pick on the reason...lol. Your daughter is truly beautiful. Have a wonderful, love filled weekend! I'm loving your sweet monthly designs. I must send you a photo of my finish. 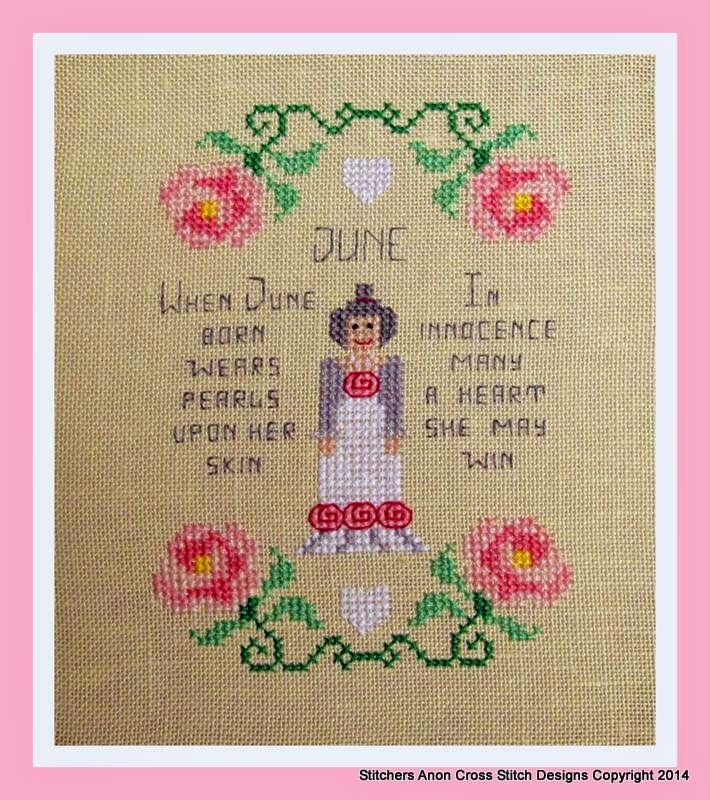 Stitched for Julie ( oldbagpuss) for her birthday. Love the current picture of your daughter! Congrats on designing a whole new series of cross stitch ladies! 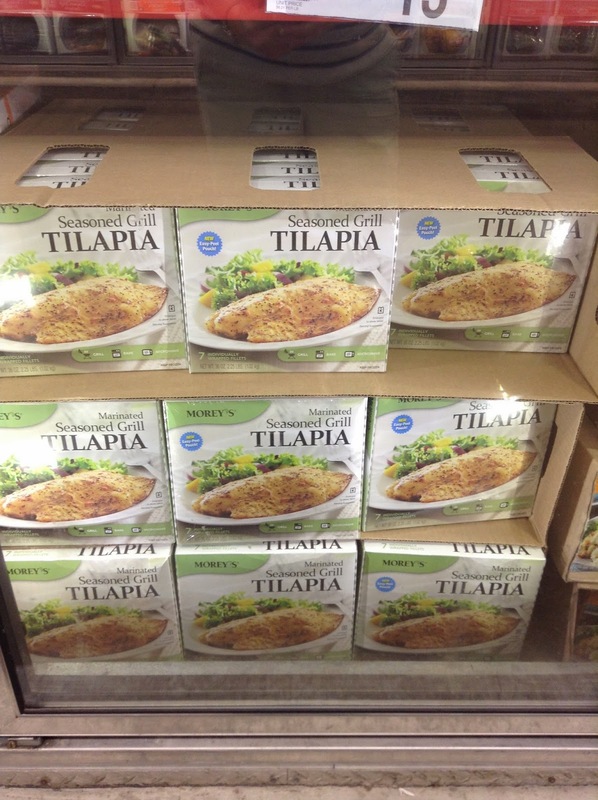 When I saw the boxes of Tilapia, my first instinct was that my husband fishes for them! I don't eat fish...And I surely love that celtic cross with Connemara marble--how great! Sounds like a great online retreat! You may have started something here... Hugs! What a wonderful picture from your beautiful daughter. Enjoy this long weekend with her. I love your maids and you are right, the June one with the roses is very beautiful. I was very lucky and received Sally's SAL finish for my birthday, it's be dutiful. Enjoy your bank hol weekend with your beautiful daughter.